Loosen up in this iconic t-shirt. 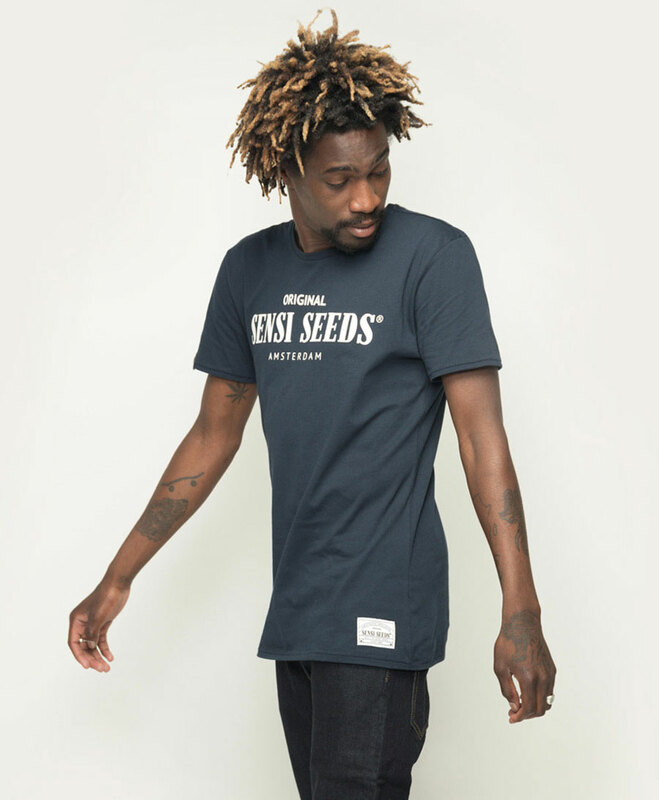 A unisex t-shirt that mixes urban design and comfort for natural movement, the Sensi Seeds Original Sports T-shirt is made from 100% cotton*. Choose from heather grey, navy, black, and white. Loosen up in this iconic t-shirt.A unisex t-shirt that mixes urban design and comfort for natural movement, the Sensi Seeds Original Sports T-shirt is made from 100% cotton*. Choose from heather grey, navy, black, and white. When it’s time to light a fire under your night, you want sharp style that’s still comfortable. The Sensi Seeds Original Sports T-shirt is your trusty t-shirt, time after time. It features the iconic Sensi Seeds logo on the chest, with high density printing for extra clean lines. The high quality cotton gives you a super comfortable t-shirt that’s soft, durable and breathable. Match it with the Sensi Seeds Joggers and Full Zipped Hoodie and you’re ready to go. The modern urban design of this comfortable t-shirt is unisex and its casual style will match whatever you decide to wear. It’s high quality too, with embroidered labels on the front and sleeves. The Sensi Seeds Original Sports T-shirt is the perfect fit for your hot nights out and cool days in – and whenever else you want to add the iconic Sensi Seeds style to your look. The Sensi Seeds Original Sports T-shirt is part of our Sensi Seeds Streetwear collection – casual but distinctive clothes that fit your lifestyle and match your mood. The basic urban collection is cool and comfortable – perfect for chilling out in style – and it’s high quality, giving you comfort that lasts. We have chosen a super soft, durable material for the Sensi Seeds Original Sports T-shirt, to give you maximum comfort with minimum fuss. The t-shirt comes in sizes XS-XXL, so you can decide what fits you best. Made from 100% cotton, simply wash it in the machine. Take care of it and the Sensi Seeds Original Sports T-shirt will stand the test of time as the item you grab every day. Original Sports T-Shirt Navy is added to your shoppingcart! Original Sports T-Shirt Navy is added to your wishlist!